India would adopt a liberal visa policy to boost economic partnership and encourage Indian business to invest in Bangladesh to address the imbalance in trade and reap mutual benefit. “As a step towards showing India’s commitment to joining hands with Dhaka in giving a boost to the economic prosperity of Bangladesh and its people, we have decided to adopt a liberal visa regime,” High Commissioner Pankaj Saran said at the start of the India Show here. India is attaching greater importance to its ties with Bangladesh as a strategically and economically key element in the furtherance of its “Look East” policy. It also believes Bangladesh can become a hub for its Northeast region. India intends to help develop ports, waterways and alternate roadways to boost trade and investment. There is no formal agreement between India and Bangladesh on the visa regime. “Earlier, businessmen and other categories would get five days’ visa with single-entry condition. This was making it very difficult for even those people who have been dealing with the Indian corporate world for the last two to three decades. “Now we are granting six-month multi-entry visa and even longer term visas to various categories including artists from Bangladesh that is going to make things smooth and easy,” Saran added. Bangladesh is seeking more Indian investment in the country. “We have an open business-environment in the county and Indian businessmen are welcome to invest in any kind of establishment they want to,” Bangladesh Commerce Minister Ghulam Muhammed Quader said, inaugurating the Show. Bangladesh’s liberal investment policy allows equal treatment for local and foreign investors, legal protection against nationalisation and expropriation, guarantee of repatriation of capital and dividend, corporate tax holidays up to seven years, concessionary duty on the import of machinery, export incentives, allowing 100 percent equity, and unrestricted exit policy. India’s Commerce Secretary S.R. Rao said the balance of trade in favour of India could be addressed by investing in Bangladesh. Indian companies can also have access to western markets like EU and the US where Bangladesh enjoys zero duty especially for textiles. Deputy High Commissioner Sandeep Chakravorty said Indian companies may look for collaboration in power generation, IT and tyre manufacturing. “Indian investment is suitable for Bangladesh. Indian entrepreneurs understand Bangladesh’s business climate. Bangladesh’s export to India won’t rise unless the Indian investors come here,” he said. Bangladesh had been demanding since long increased market access for its products to India. Rao said he hoped that business people in the two countries would fully utilise the duty and quota-free access facility. India slashed its sensitive list under the South Asian Free Trade Area (SAFTA) for less developed countries and granted duty-free access to Bangladesh especially for textiles. The two-way trade stood at $4.3 billion in 2011-12. India sold goods worth over $3.5 billion to Bangladesh whose exports were worth around $0.6 billion. Chakravorty said export diversification and investment by Indian companies to produce products here and re-export those to Indian market could help Bangladesh boost its export volume to India. 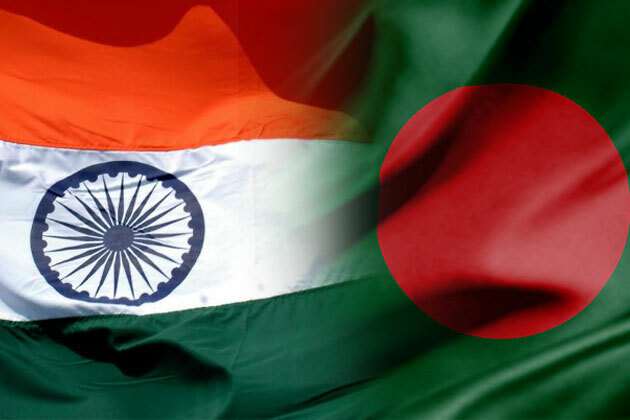 Bangladesh and India will have secretary-level talks Tuesday. Various trade-related issues will come up for discussions at the meeting. Bangladesh commerce joint secretary Shawkat Ali Wareshi said since Bangladesh’s export basket is fragile, the India Show would be an opportunity for entrepreneurs to know what type of products India wants and it will help them diversify their products to boost exports to India. The India Show has been organised by the commerce ministry, India Brand Equity Foundation and FICCI to explore joint venture possibilities and cooperation to boost trade and investment between the two countries.